The developer of Westshore Marina District envisions a dual-concept, multilevel waterfront restaurant as part of the project, alongside luxury condominiums and a 1.5-mile park overlooking Old Tampa Bay. 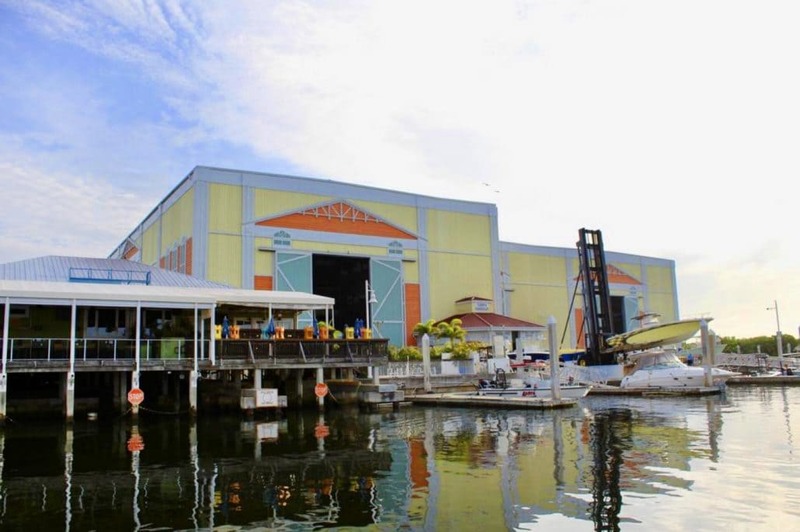 Fort Lauderdale-based BTI Partners, the master developer of the district, is in talks with local operators to occupy the restaurant, which will likely have space for multiple concepts. It will be a boat-up restaurant with its own floating dock. Ideally, there would be one upscale restaurant and one that’s more casual, in line with Hula Bay Club, a waterfront restaurant directly north of the Westshore Marina District. “We have a couple finalists for that position,” said Beck Daniel, BTI’s director of development. Daniel said he isn’t worried about competing with Hula Bay. Clustering the restaurants together could help turn the district into more of a destination, especially for boaters. “I don’t really think it’s competition when we’re on a peninsula in a market starved for the opportunity for waterfront dining,” Daniel said. It’s true that there isn’t an overabundance of boat-up restaurants in the Tampa area, but the tide may be turning. Tying into the Hillsborough River and Tampa Riverwalk are a big part of the vision for the Armature Works development, which opened Heights Public Market earlier this year. Tiki Docks, a concept from the parent company of Ford’s Garage and Yeomen’s Cask & Ale, is under construction in Riverview, and The Getaway is about to open its second location in South St. Pete.